What's the back 7 or 8 of the VIN?? On the VIN label, there's a 4 digit code I need, can you please get it?? What's the Production Date?? 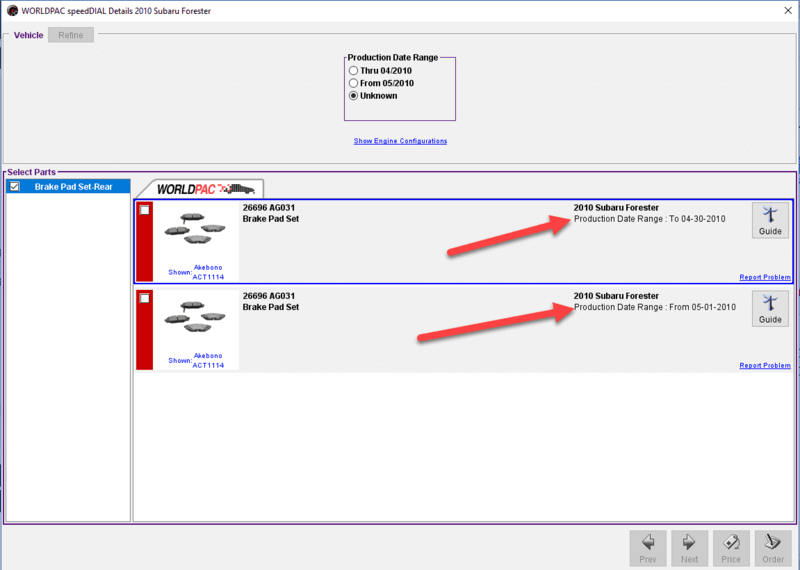 Hey service advisers or shop owners, how many times have been ordering parts for a customer’s vehicle and been asked for a production date or some other vehicle specific information on the VIN label. Now you must stop what you’re doing, run out to the vehicle…If your luck is anything like mine, the vehicle is at least 5 feet in the air… Once you get the door open and finally get the information you’re looking for at least 10 minutes of your time may have gone by. 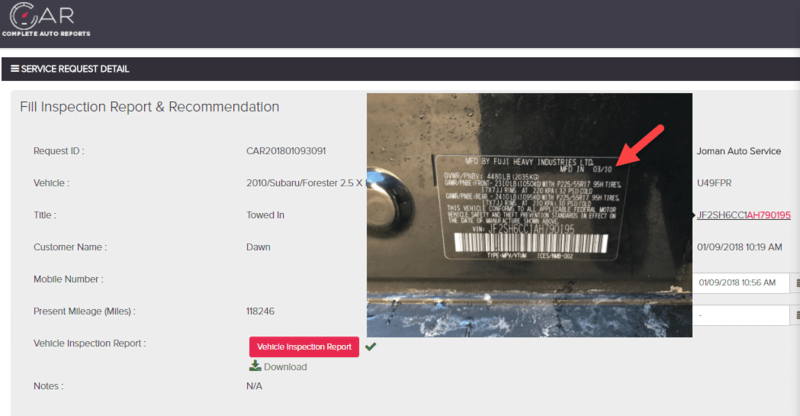 With CAR, Complete Auto Reports, we thought of that already… Right in each service request if you click on the VIN number, the photo of the vin label will pop up, from you having taken it earlier in the process. Here you can find all the information you need without having to get up from your work station or do it right from your mobile phone like in this short video. In addition to the VIN label, our vehicle profile allows you to take other photos of the vehicle and other labels found within it. Spending 5 minutes setting up a vehicle profile, will save you hours of time through the life of a customer and their vehicle. Time saved equals money earned. Stop wasting your time and learn about the difference our auto repair software can bring to your business process. Only with CAR.